Dog Training All-Star Team: Our Top 10 list of trainers in the U.S.! Dogs have been "man's best friend" since, well, forever. But that friendship can be sorely tested when Rover is jumping all over a guest, pulling at the leash or barking non-stop. Sadly, these kind of bad manners often result in dogs winding up in shelters. This is why training them is critical to help avoid this sad fate - not to mention, improve the relationship between owner and dog. Most dogs can master your basic "sit" and "stay" commands, but with the right techniques, they can learn much more (hey, those cute pups on TV or in movies weren't born knowing how to do that stuff). Dog trainers insist that no dog is a lost cause, that their naughty or destructive behavior can be corrected. It's a matter of finding what works for both you and your dog, then being consistent. 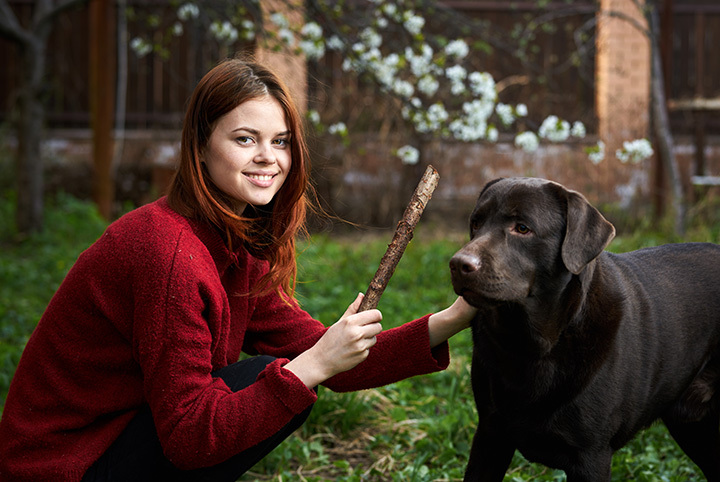 There are thousands of dog trainers in America, but here are ten that regularly get "paws up" for their insights, methods and devotion to the human-animal bond. He's written numerous books on pet training, and is regularly featured on TV. He's trained something like 35,000 dogs, including many belonging to celebrities. We want to hear your #greatpet stories! Everyone Loves their #pooch but what makes yours #GREAT? Tell us in the comments! She hosted the "It's Me or the Dog" series on Animal Planet, and has written several books. Stillwell rejects traditional dominance-based training techniques, instead using positive reinforcement to achieve results. This former Marine has trained protection dogs for high-profile politicians and celebrities. But he also helps regular dogs and their owners. White initiated the Warrior Buddies program, pairing shelter dogs with veterans. He starred on the National Geographic series, "Dog Town" and made news when he helped rehabilitate 22 pitbulls rescued from Michael Vick's dogfighting ring. He worked as a trainer at SeaWorld, and has incorporated the techniques used on whales and dolphins into training dogs. Silverman hosted "Good Dog U" on Animal Planet, and has trained dogs for TV shows. His success with gentle, positive techniques have earned him numerous TV appearances. George's training emphasizes the unique relationship between dog and owner. NEW VIDEO! https://youtu.be/gRW1PVHeQhY Part of having a well-behaved dog is making sure that you show them how you want them to act in all kinds of situations. I’ll give you several examples in this video, including jumping on guests, begging for food, jumping on the furniture, and getting into trouble in new places! A veterinarian as well as behaviorist, he's credited with developing the first "puppy socialization classes" back in the '80s. Dunbar has shared his techniques through books, DVDs and TV shows. He also founded the Association of Pet Dog Trainers. She and her team of trained Weimaraners do live acrobatic shows, and appear frequently on TV. Her amazing gift for training dogs made her first book, "101 Dog Tricks," a huge bestseller. None other than Dog Fancy magazine recognize her as one of the "people who have changed the dog world." She's written six books and conducts courses for trainers in her effective methods. He shares over 30 years of working with dogs through his books and series of training videos. Besides helping train family pets, Deeley has helped with military dogs.